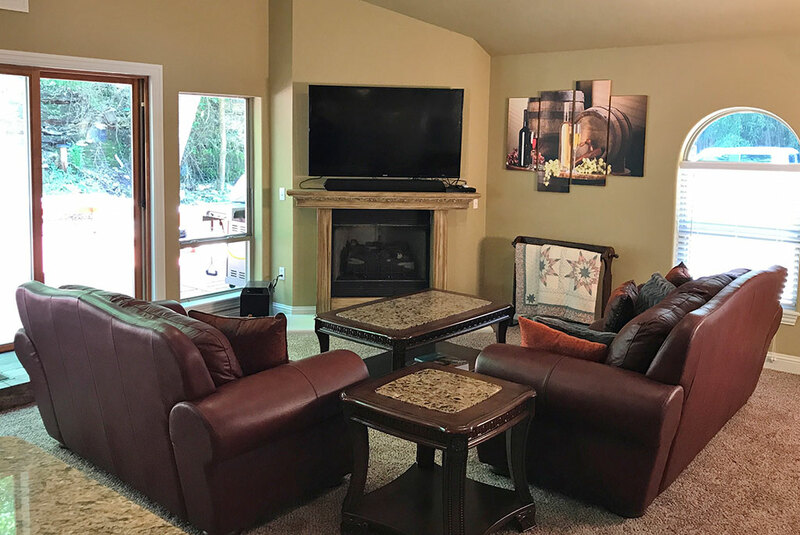 THREE BEDROOMS, FULL GOURMET KITCHEN, DOUBLE JETTED TUB, FIREPLACE, SATELLITE TV, DECKS, TRAILER PARKING, FIRE PIT, WILDLIFE, WALK TO DOWNTOWN. 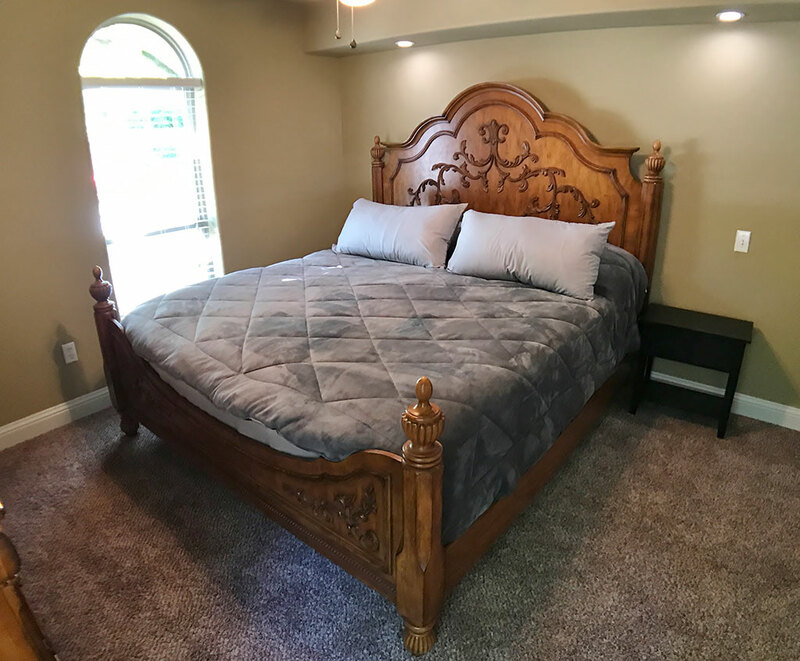 NOTE – The rate is based on 4 guests. 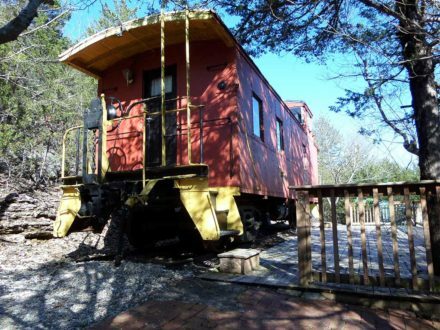 Additional guests are $20 per person per night. 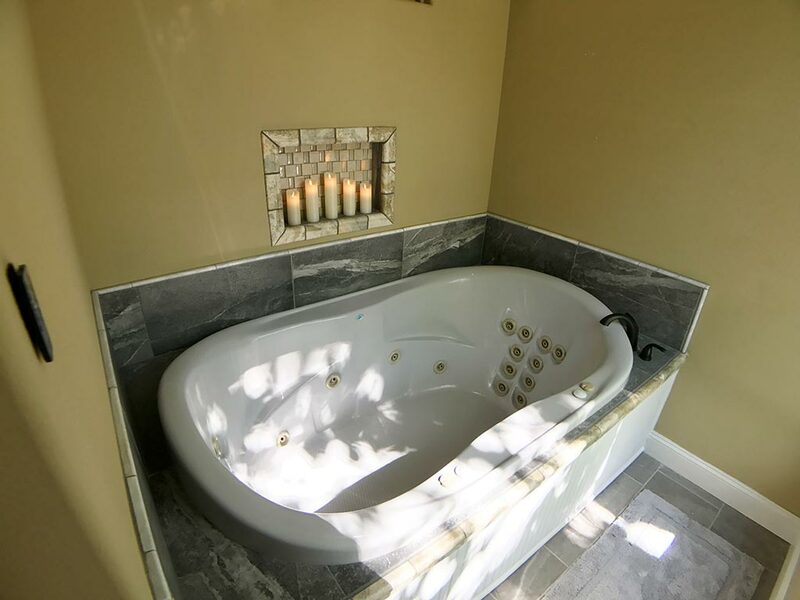 (Enter the number of guests and your quote will reflect that quantity in the total price). 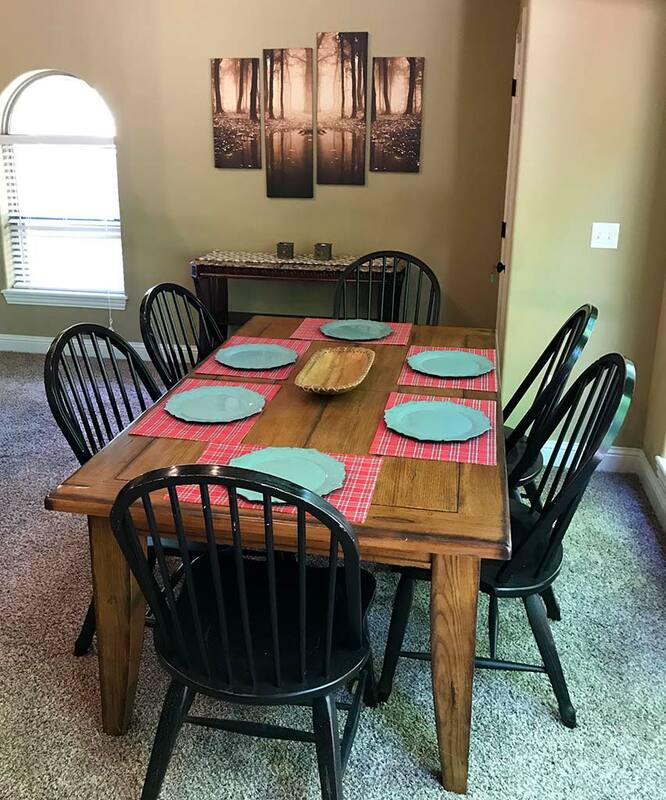 Maximum of 8 Guests. 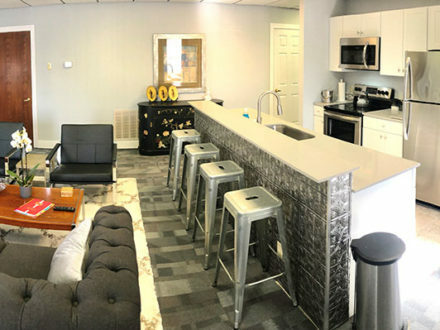 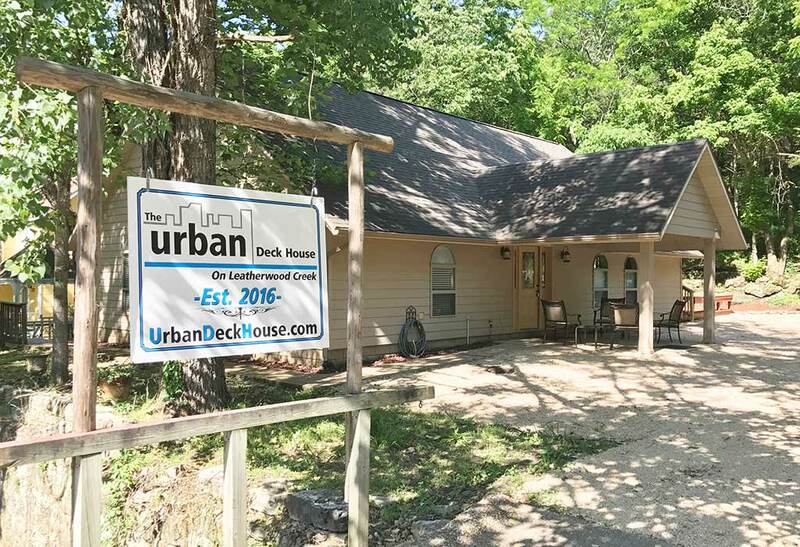 The Urban Deck House is an upscale contemporary 3 bedroom, 2 bath home with an urban coffee & wine theme. 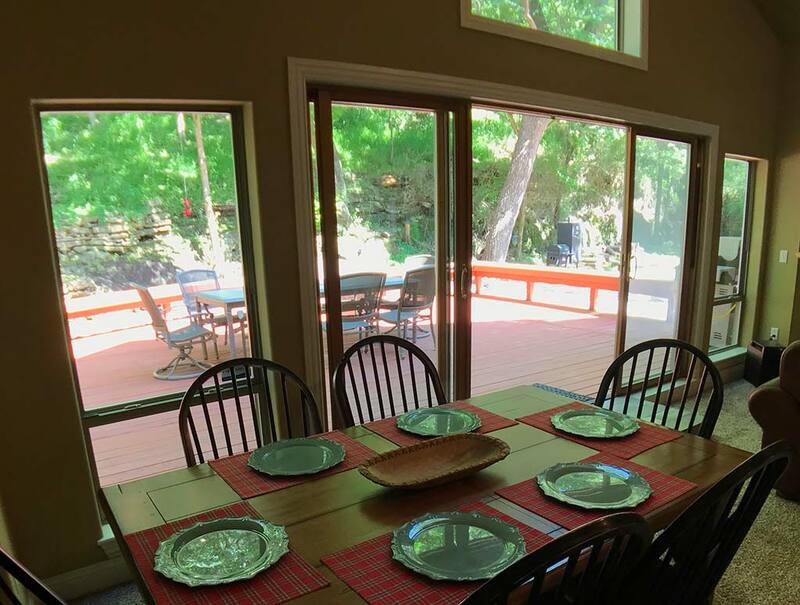 The large open living, kitchen and dining area looks out through a wall of glass to the deck and outdoor living space and a natural stone bluff. 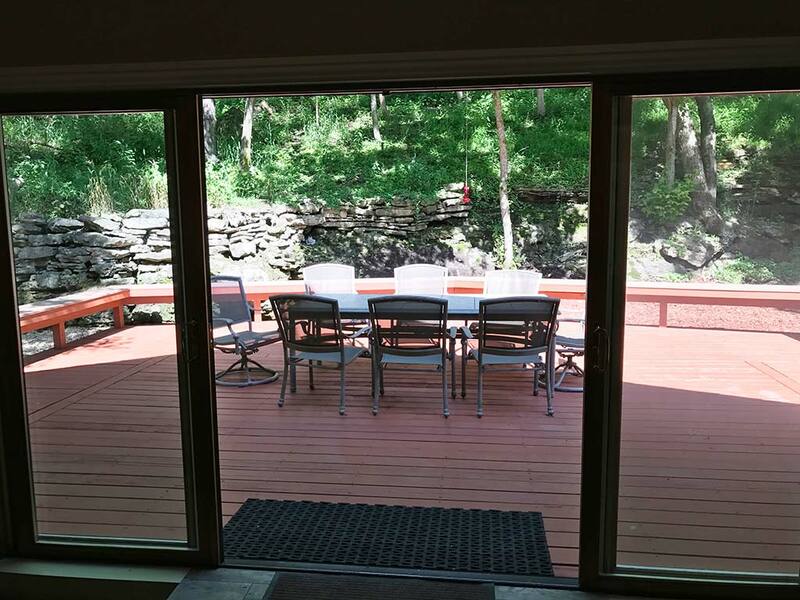 There are double patio doors that slide open which makes it seem like you are outdoors. 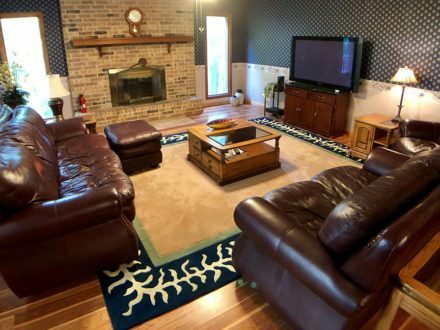 In the living room is a corner fireplace (seasonal) and a very large flat screen TV with theater surround sound over the mantel. 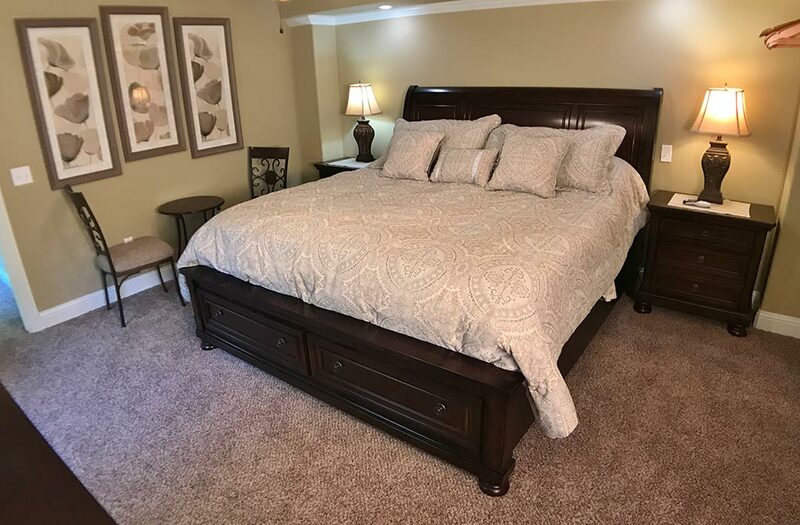 On one side of the home is the master suite with a King size bed with memory foam mattress and in suite private master bath. 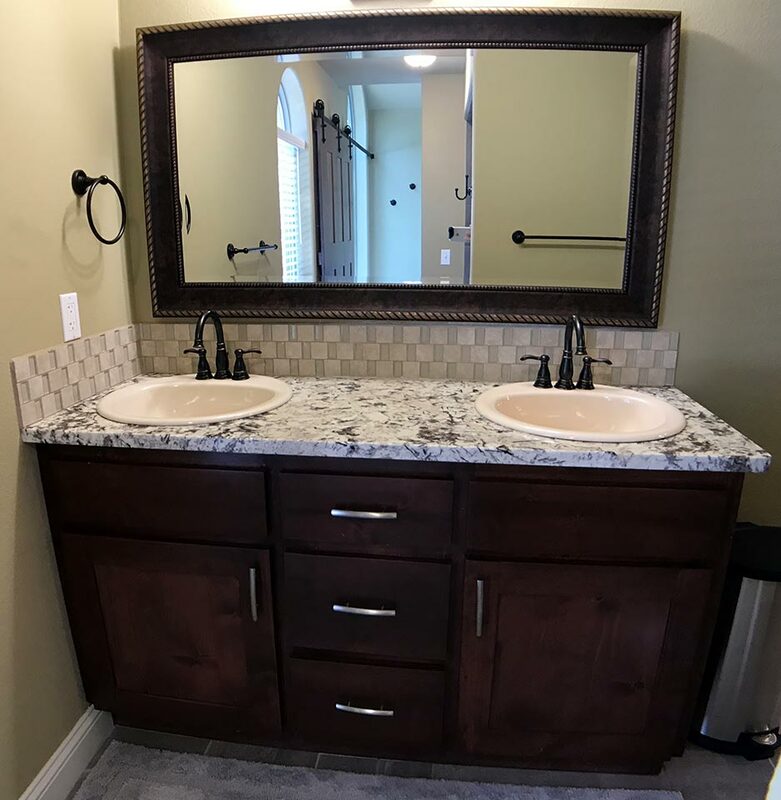 This bath is like a trip to a spa with a double jetted tub for two, as well as a large walk in shower, and to complete this oasis is a his and hers double vanity. 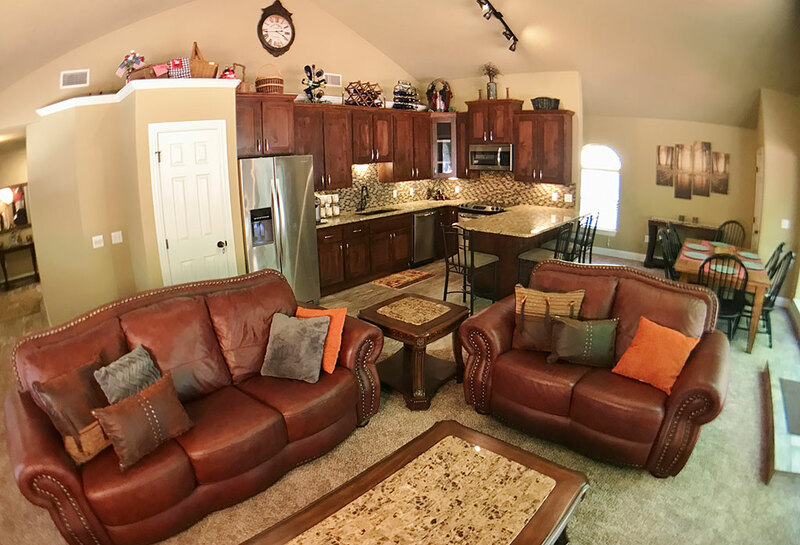 This suite also has a very large flat screen TV and a sitting area. 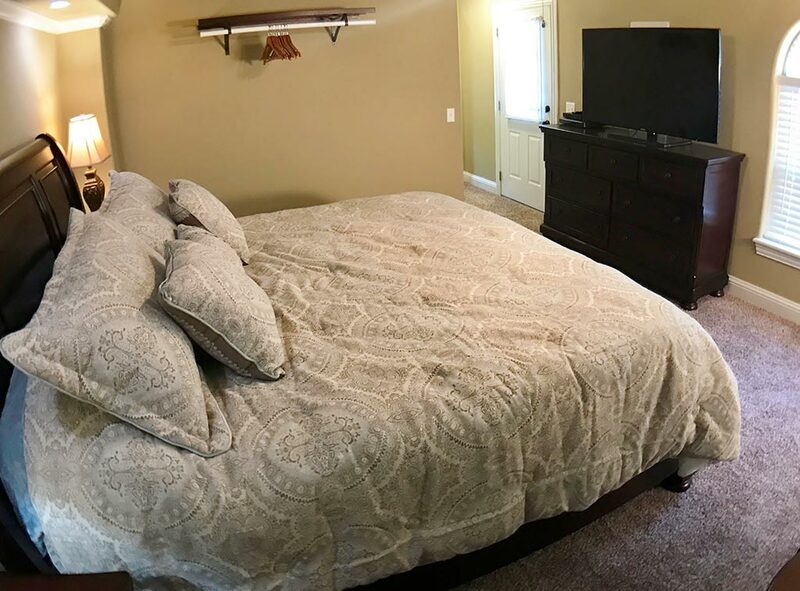 The other side of the house has two more bedrooms. 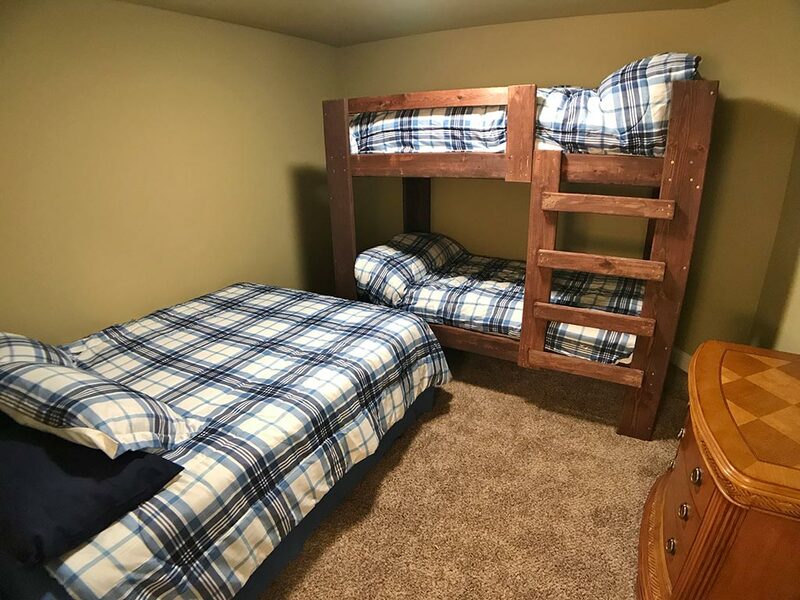 The first bedroom has a queen size bed with an additional bunk bed. 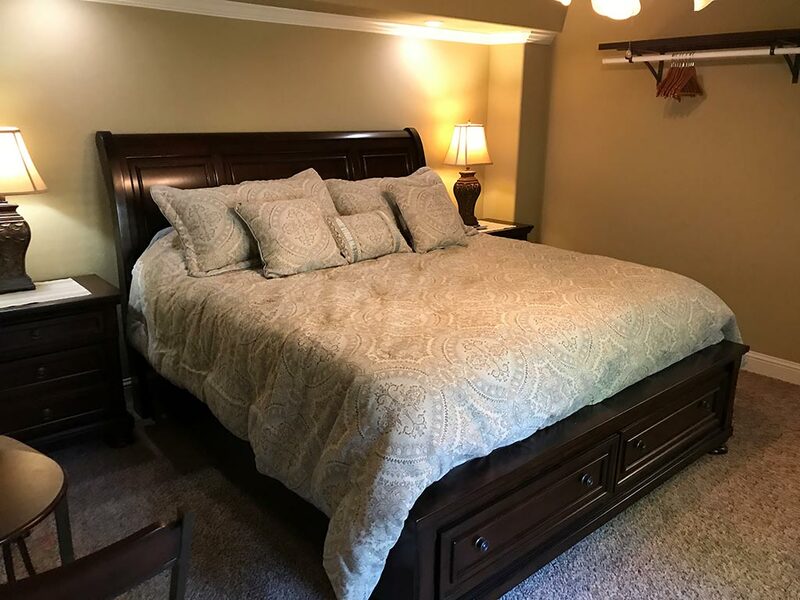 The second bedroom also has a king size bed with memory foam mattress and a walk in closet. 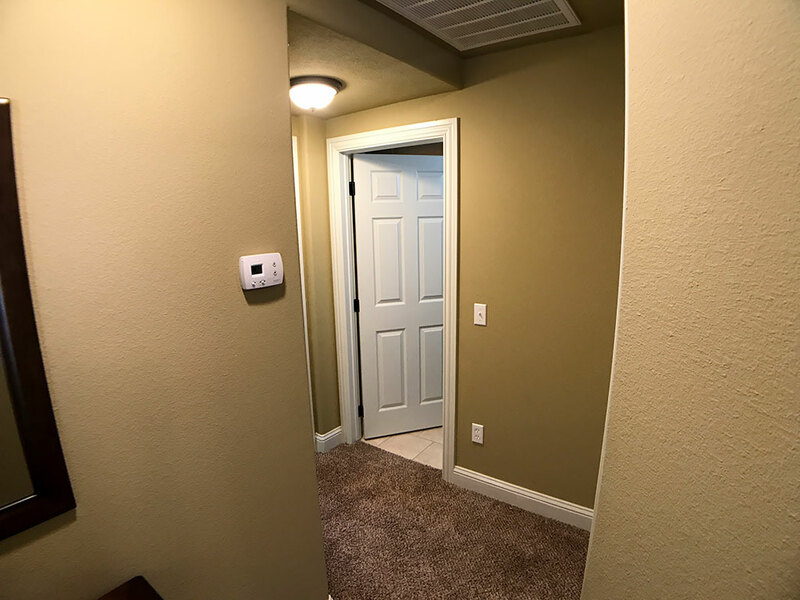 These two bedrooms have a full bath between them in the hall. 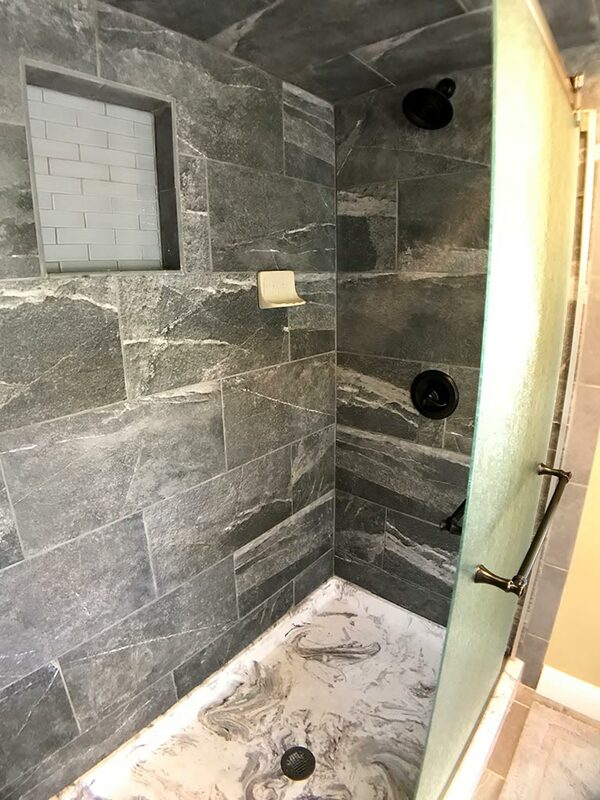 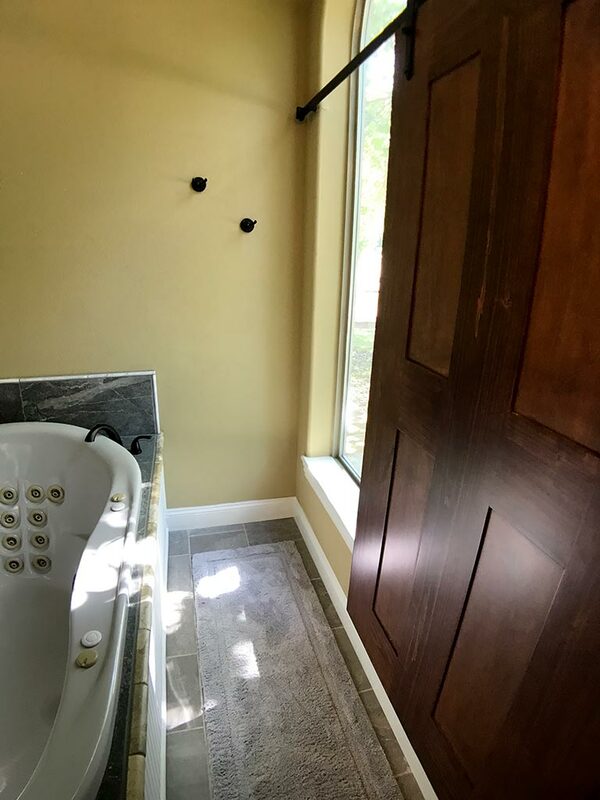 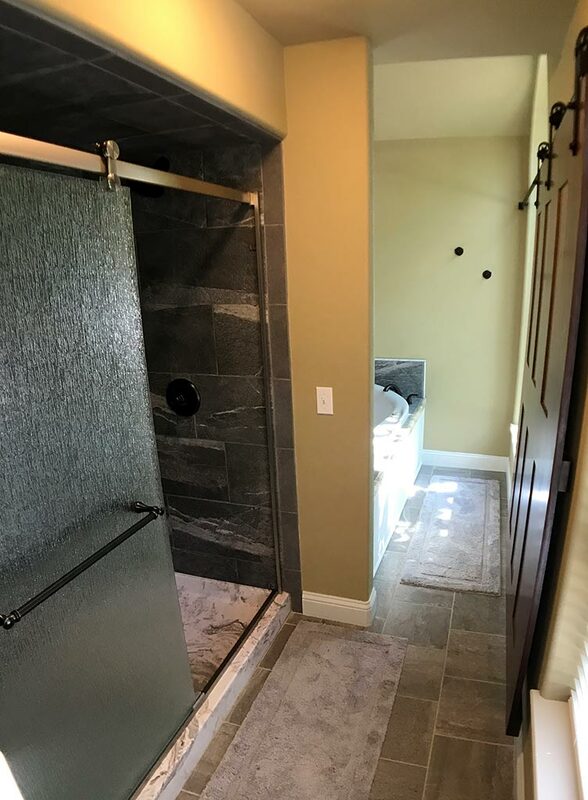 Following the luxury of this home in this bath, it also has a beautiful tile walk in shower and granite counter top vanity. 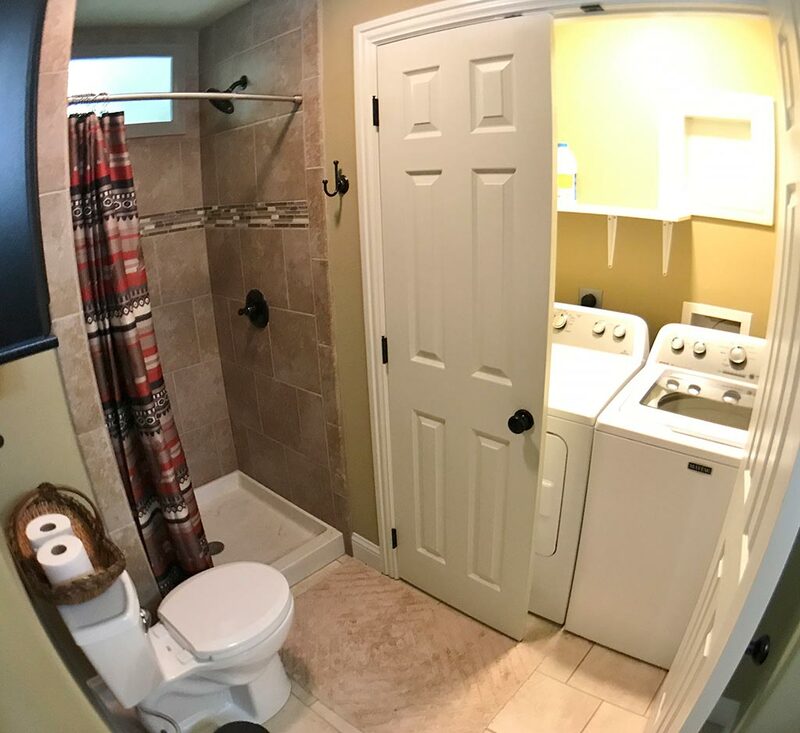 Behind double doors are the washer and dryer. 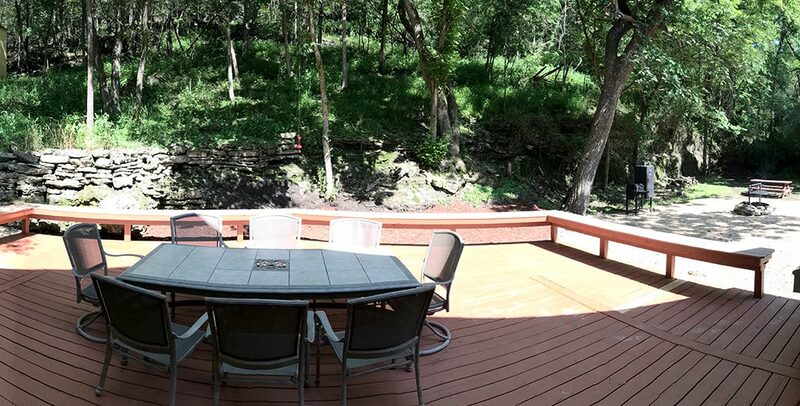 This home gets it’s name from the large deck for lots of outdoor living yet you are in the city. 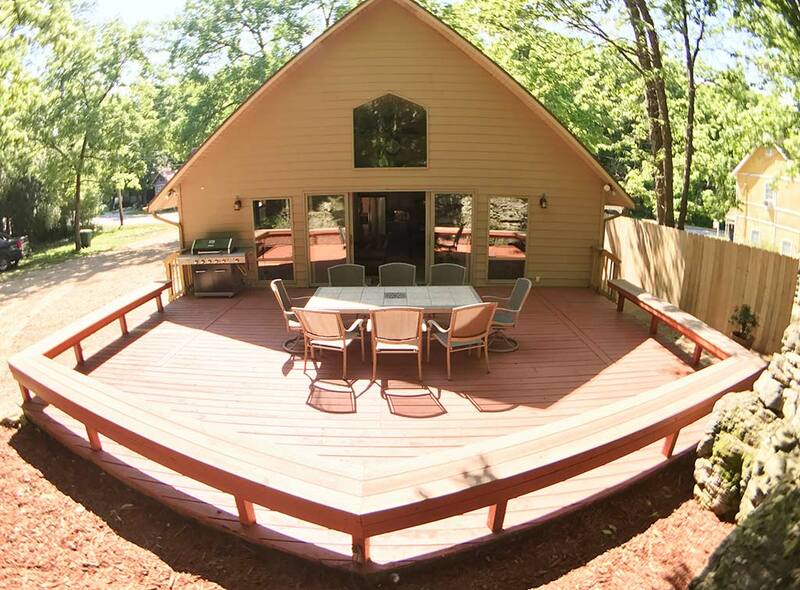 There is a natural gas grill on the deck. 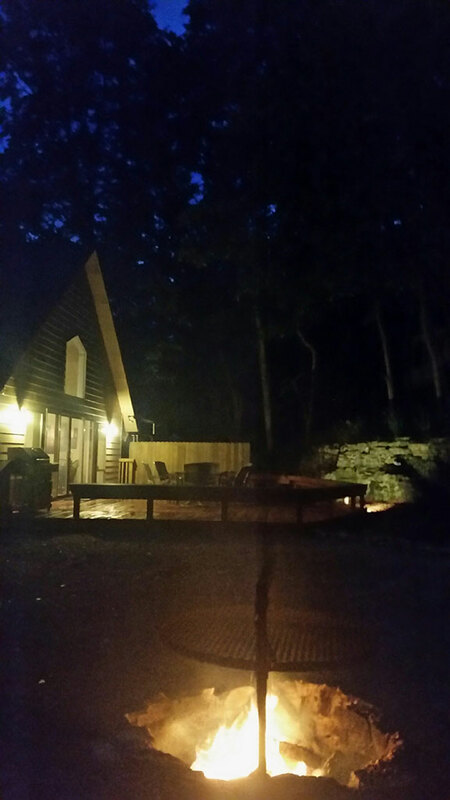 In the side yard there is a smoker and also a fire pit with a rotisserie over it. 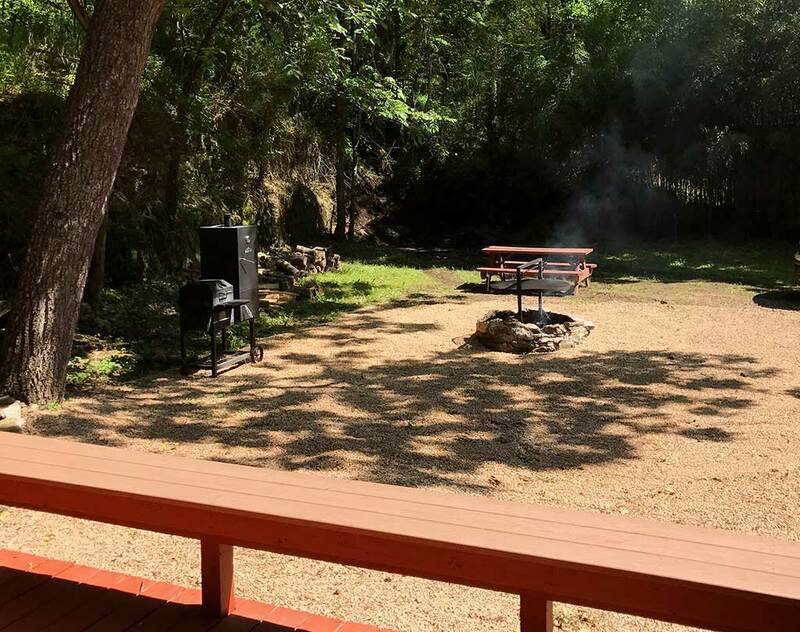 This area is perfect for sitting around a fire and roasting marshmallows. 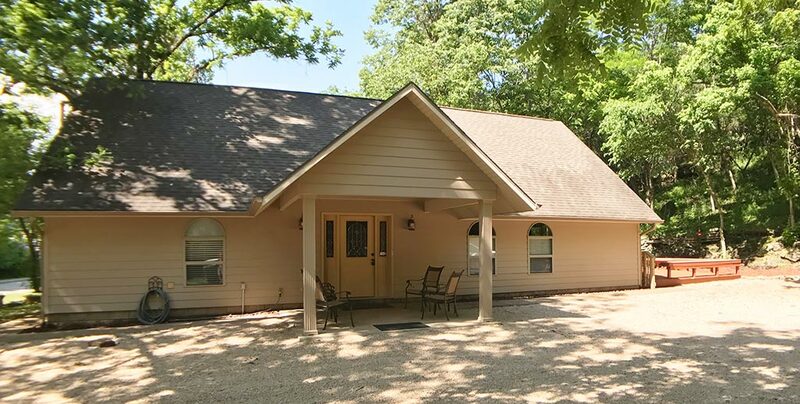 The home has central heat and air conditioning for your year round comfort. 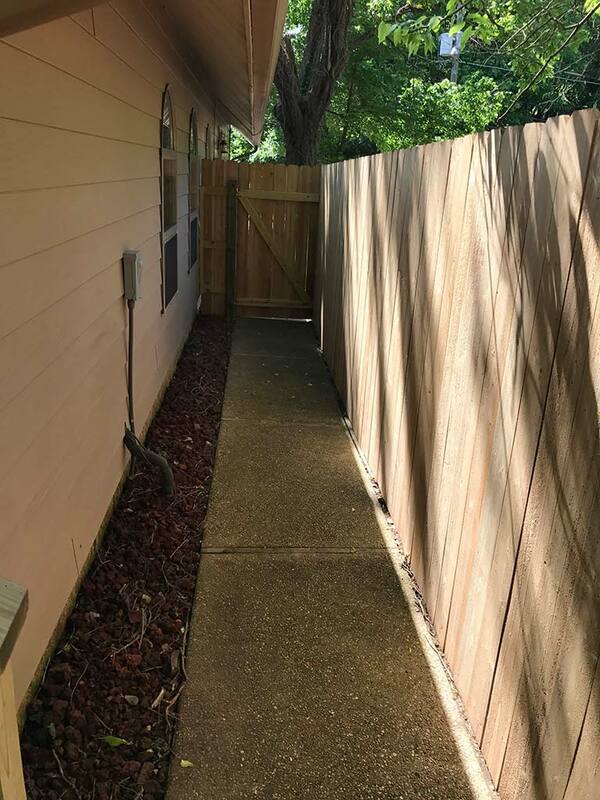 There is also plenty of private off street parking here, so bring the whole family. 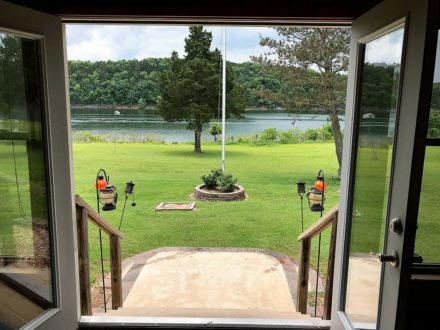 The driveway and parking are flat and large enough to accommodate boat or motorcycle trailers. 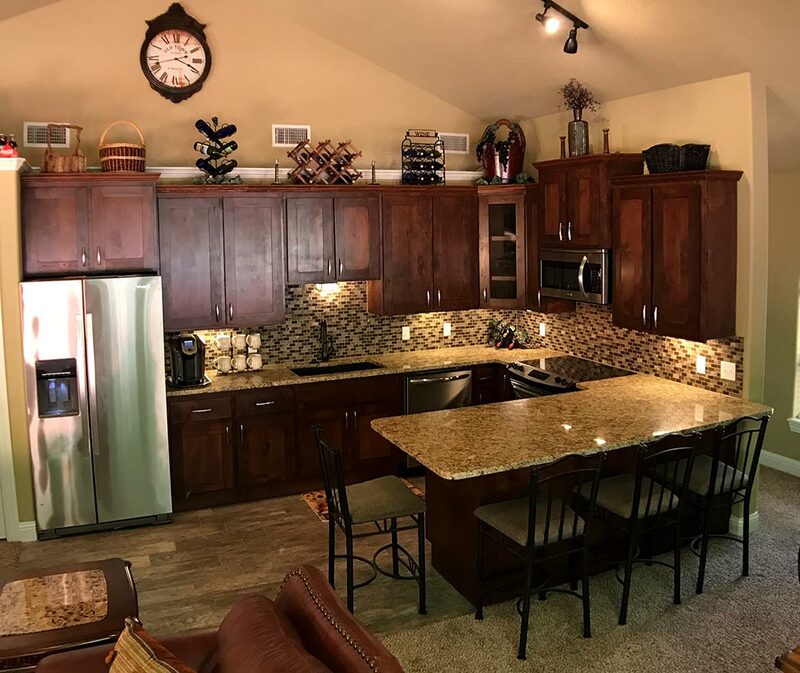 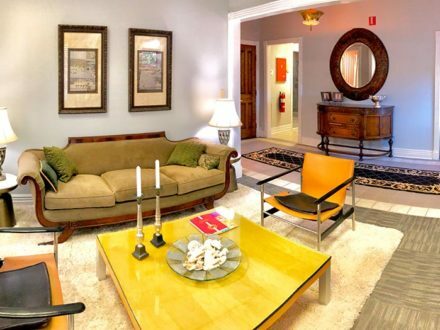 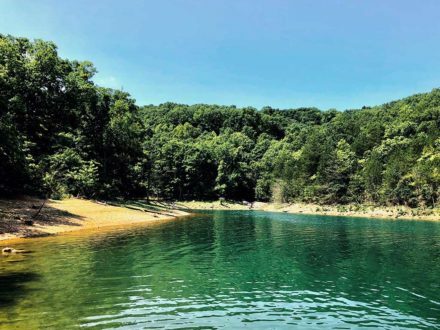 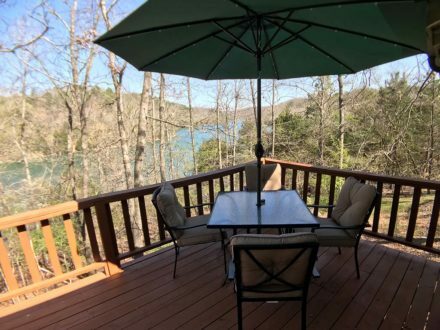 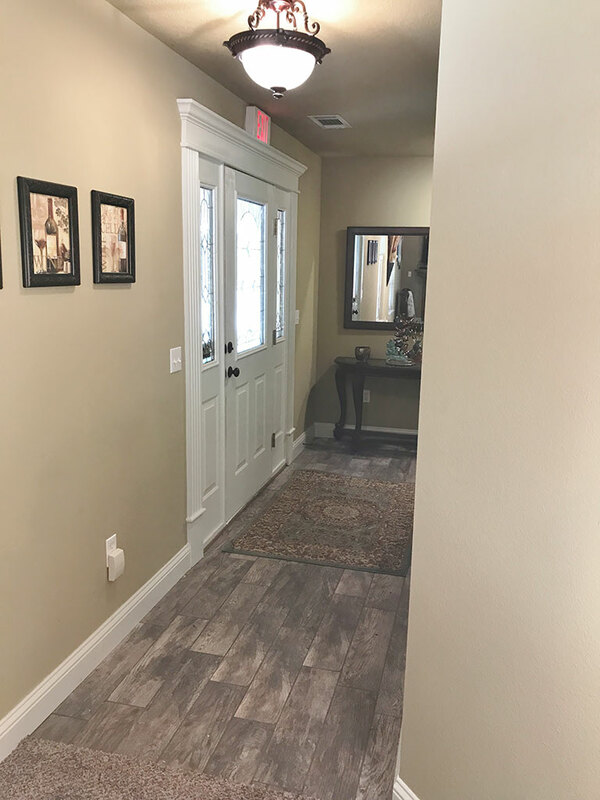 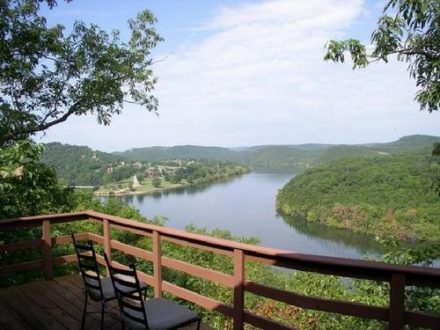 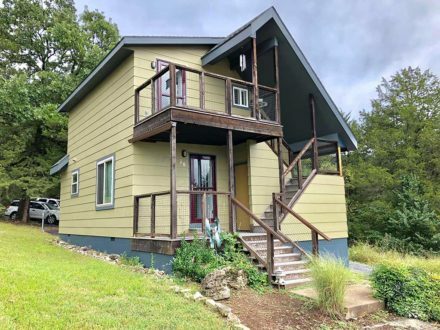 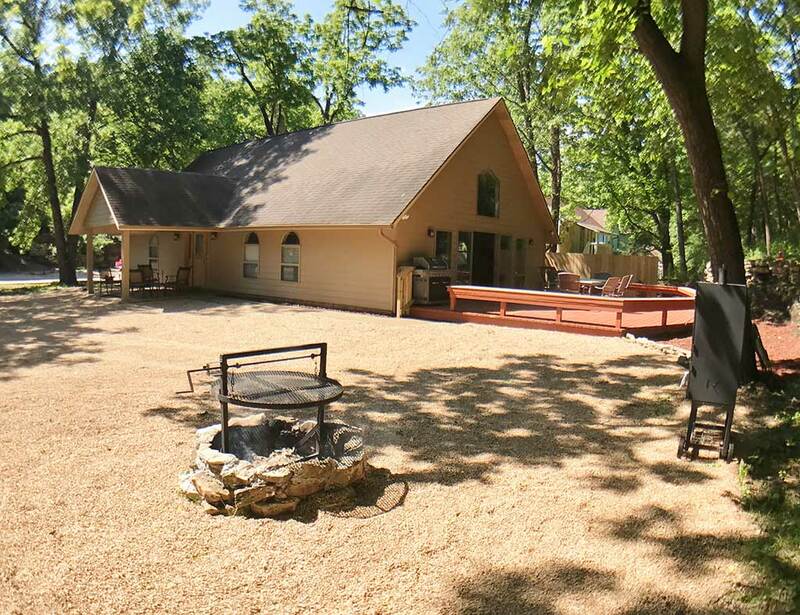 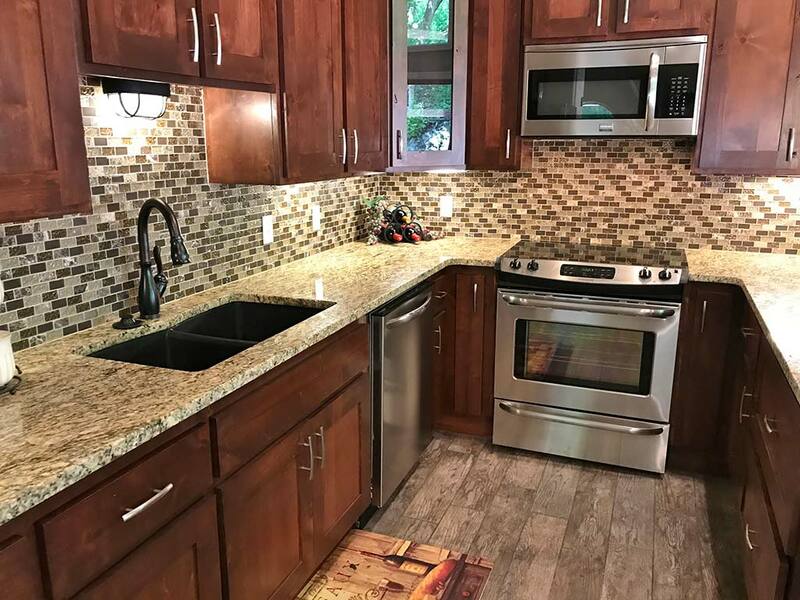 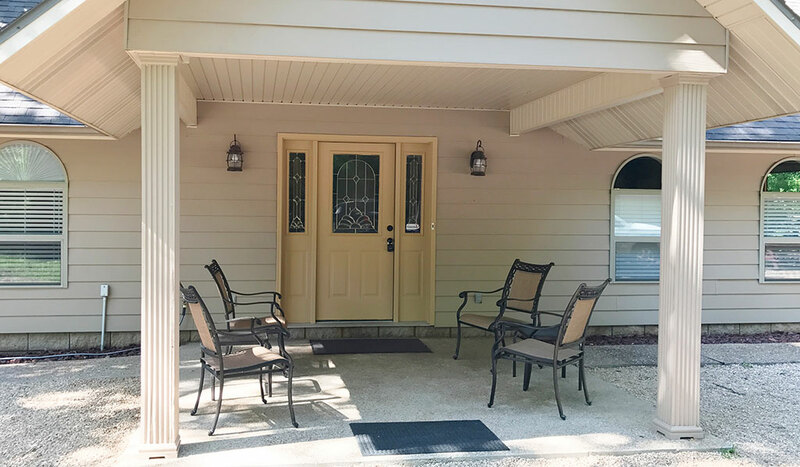 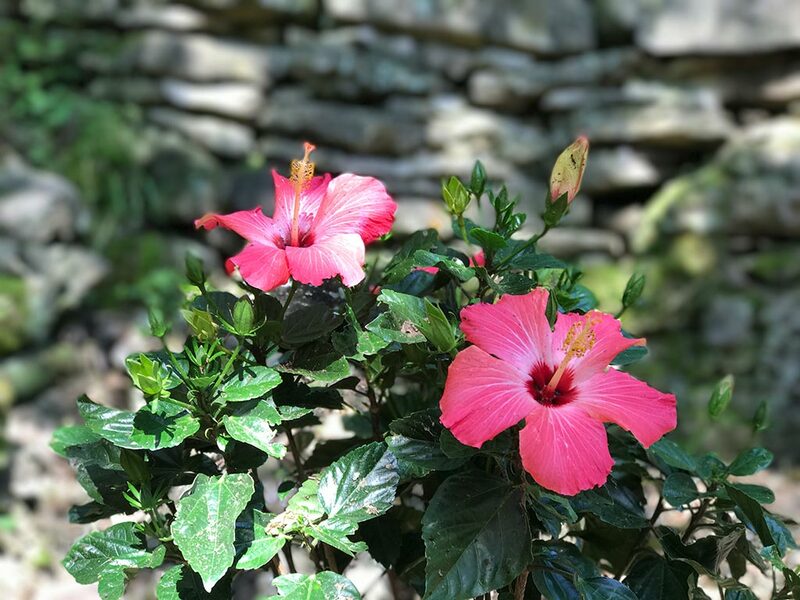 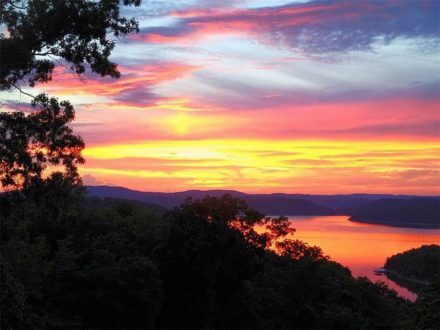 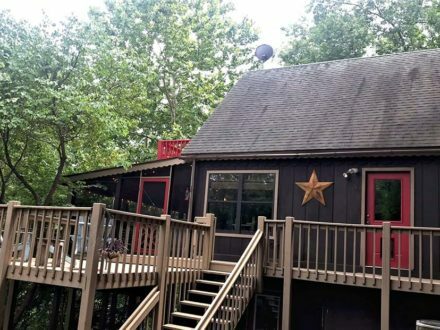 It is located just north of historic downtown Eureka Springs, so you will find it very convenient to walk to shopping, dining, nightlife and all that Eureka has to offer.